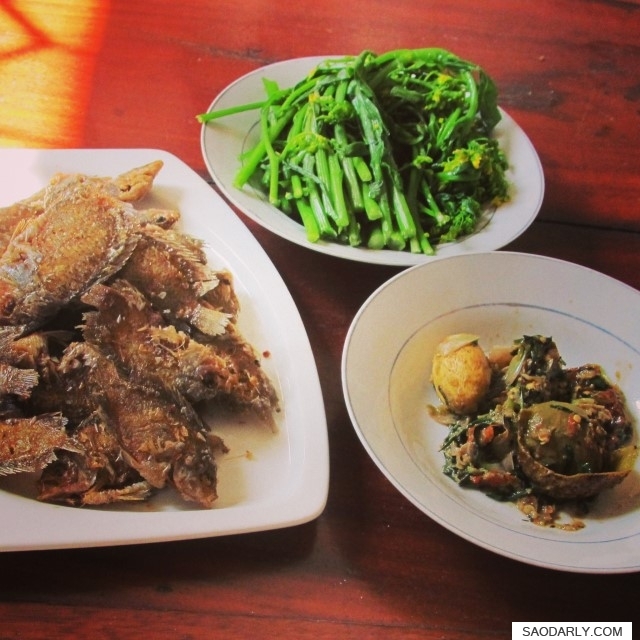 Deep Fried Fish (Tod Pa) and Spicy Hog Plum Dip (Jeow Mak Kork) made by my aunt for dinner in Vientiane, Laos. She also made steamed sticky rice and steamed Chinese Flowering Cabbage to go with the main dishes. It was a simple but satisfying dinner for everyone in the family to enjoy.